A Beautiful soft cotton flannel baby panel perfect for a baby quilt. 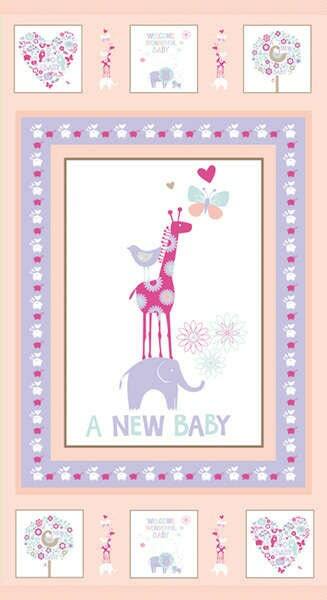 Soft peach, pink, lavender and white will add a softness to any baby nursery. Add other coordinating fabrics from this line of fabric and you will have a perfect baby gift. All fabrics from The Quilted Nursery Fabric Store are cut directly from the bolt. Same Day Shipping Always! Perfect for a project I am working on. This shops ships very quickly. Arrived as described.